For previous generations of crystallographers, data was hard won. For X-ray diffraction experiments, radiation intensities were modest, data collection times were lengthy, calibration procedures needed constant refinement, signal and background could be difficult to distinguish. Scientists had to know their data intimately to extract the greatest possible amount of information, and had to think hard about optimal reduction and solution strategies. In the modern age, very high-intensity focused beams, coupled with incredibly sensitive detectors and phenomenal computing power, have had an enormous impact on the way crystallography is done. For a high-quality crystal, data collection, analysis and even publication can be achieved in a matter of hours or days. In the eyes of many, crystallographic structure determination has become routine, a ‘black-box’ technique that can confidently be left to automated equipment. But the easy availability of high-quality raw data does not in itself guarantee that the correct scientific conclusions can be drawn without careful thought. At every stage of a crystal structure determination, the scientist must be critical of the message being drawn from the data to hand - whether those data are ‘raw’ (the diffraction images), ‘processed’ (the structure factors) or ‘derived’ (the resulting structures that are published and deposited in databases). This course aims to give young scientists the background and the tools to apply critical judgement to crystallographic data and the information derived from crystallographic data. It will pivot around the Crystallographic Information Framework, an ecosystem of data representation standards and validation tools developed initially by the IUCr for single-crystal X-ray diffraction structure determination, but increasingly permeating other aspects of structural science. The ability to access knowledge is an essential requirement of any scientific field, and the efficient exchange of information and data within and across scientific disciplines is essential for progress in science. Technological advances in scientific instrumentation and computer technology have dramatically increased the quantities of data involved in scientific inquiry. For scientific discovery, ‘big data’ has emerged as a major opportunity, which in turn may be enhanced by data “openness”. Crystallography is a discipline with a strong tradition of good data management and cutting-edge software development, and with a community that has worked actively to develop free and efficient information exchange standards (McMahon, 2012). The global application of the Crystallographic Information Framework (CIF) has been successful over the past 20 years. The community’s approach to academic publishing and information exchange standards has established a model relevant to many other physical science disciplines. Contributing to the progress of crystallographic research implies a profound understanding of the importance of the collective use of data and of the essential properties of data itself. On this ground, the AIC International Crystallography School 2019 aims at displaying the full picture of crystallographic data handling. It will provide the new generation of crystallographers with tools for producing, validating, transmitting, storing and using the crystallographic information. 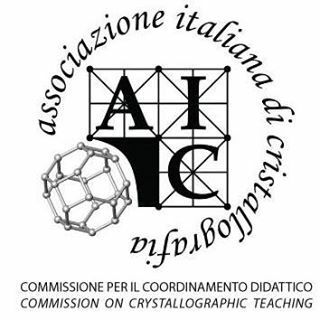 The AICS2019 will feature (i) a general part to help crystallographers from any discipline familiarize with the concepts described above; and (ii) tutorials about data collection and processing, CIF validation, and access and use of the various crystallographic databases. The most complete information about a crystal structure resides in the physical sample itself. Anything else is a lossy, compressed and uncertain representation of that reality. How do we minimise loss, maximise compression (by providing a concise account of the structure) and quantify the uncertainty of the published results? This module alerts us to what we discard when we process experimental data, what we are able to recover, and why we should consider retaining our data for subsequent re-evaluation. Building a structural model or testing a scientific hypothesis that depends on a structural model must (a) respect the complete characteristics of the experimental data; (b) be verifiable by revisiting the data and the assumptions that the author has made in analysing them; (c) enter the scientific record as a formal peer-reviewed publication, a deposited database record, or both; (d) conform to FAIR principles of Findability, Accessibility, Interoperability, and Reusability. While these are all desirable goals of any scientific information, crystallography is particularly fortunate in having a well-defined area of study and an extensive common vocabulary of terms, both in common parlance and in machine-readable data exchange mechanisms. In crystallography, published structural results do not stand alone, but are accessible through well curated and critically evaluated repositories, in the form of databases, data banks and research journals. Careful use of these resources and their associated knowledge management tools facilitates the location of existing results, the testing of multivariate hypotheses, and the discovery of novel features and properties.